Today the Civitella Ranieri Foundation—a prominent artist and writer residency program located in a 15th-century castle in Umbria, Italy—announced the winners of its first-ever WOJR/Civitella Ranieri Architecture Prize competition. The newly launched competition, co-sponsored by Cambridge, Massachusetts-based design firm, WOJR, will invite one emerging architect each year to the Civitella Ranieri Center in Italy, where they will be given $15,000 to design and build a temporary architectural installation on the castle grounds within a six-week time frame. Alejandro Haiek from Venezuela was announced as the 2019 awardee, while Catie Newell from the United States will attend the residency program come 2020. Both the Civitella Ranieri Foundation and WOJR aim to nurture and assist the young architects by presenting them with a high-profile platform to showcase their built work and gain recognition and respect. The culturally and historically rich city of Umbria, with its rolling hills and picturesque vineyards, serves as the backdrop for the six-week residency program, and it will influence the built works created by each prizewinner. Umbria is the birthplace of Arte Povera, the avant-garde art movement known for its focus on modest resources and everyday materials, such as ceramics, concrete, and metal. Conforming to the region’s history and traditions, the prizewinners will not be able to use digital modeling and fabrication software and must rely solely on locally available materials. Prizewinners Haiek and Newell were chosen from a group of 65 nominees from around the world, 48 of which submitted detailed applications to a jury of four eminent architectural professionals. In addition to the two recipients, three finalists were selected, including Sumayya Vally from South Africa, Sean Canty from the United States, and Ang Li from China. Alejandro Haiek, the 2019 awardee, will spend this summer at the Civitella Ranieri Center, from June 13 to July 23. 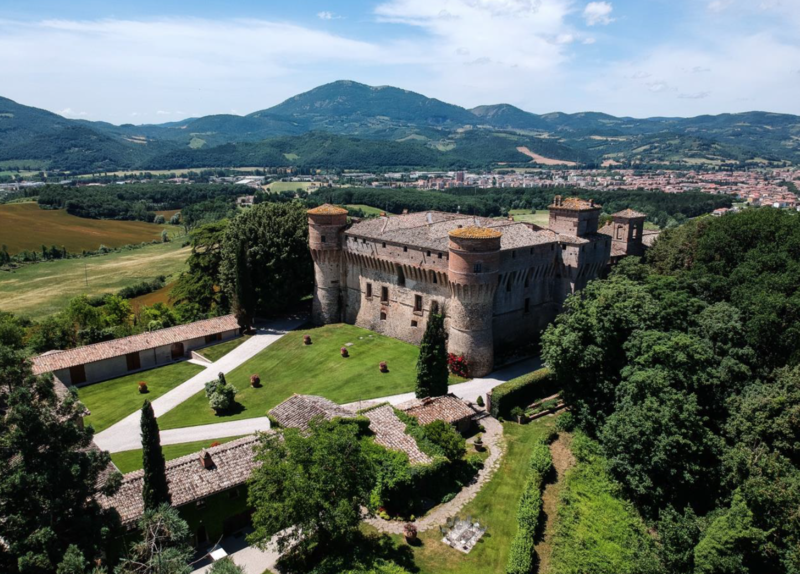 In mid-July, he will present his finished architectural installation at a public event held at the Civitella Ranieri castle for its 25th-anniversary celebration.